Home » News & Views » Environment » Two Years On: Has The Government Purchased A Failing Airport? Two Years On: Has The Government Purchased A Failing Airport? It was the stable of Welsh life and culture. 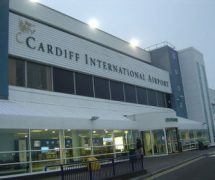 Growing from a small grass strip to a large, international airport, Cardiff Airport has seen more than a few face lifts. It has carried many of us on our sunshine and city break holidays; over the many years a multitude of feet have graced its terminal floors. During the last 10 years our only ‘international’ airport has become little more than a small, controversial topic for politicians to argue over. A small regional airport grasping onto its international status by the skin of its teeth! So, it’s almost 2 years on since the Welsh Government’s controversial purchase of our only airport for 52 million pounds.What has changed? Is the future brighter? Cardiff Airport’s status grew between the 1960’s and 1970’s when a new and current terminal building replaced the older and small one. It made country headlines, spectators flooded to the airport to see the vision of the future of air travel. And it was in 1971 when Cardiff really gained its international status when the first transatlantic jet service to San Francisco took place, really outdoing the then current Dublin, and the few dotted European, services. During the 80’s worldwide services grew with seasonal flights to Miami and Orlando and year round connections with Toronto. The airport was flying, routes from Cardiff literally plastered Europe and Northern Africa. Planes left full and the airport even managed to sustain a 747 ‘jumbo jet’ service. The management became blinded by their fame and fortune and slowly the airport infrastructure and building slowly became outdated. Throughout the 90’s the airport continued to grow. Frequent routes to Vancouver opened up and Trans American Airlines started a weekly New York service. The airport was flying with dazzling colours but it was in 1995 when Glamorgan Council handed over operations to private operator TBI. This is where the trouble really began! TBI, which at the time owned Luton and Stansted, was more focused on developing their London airports and sent Cardiff into a slow, downward spiral. Passenger numbers peaked at 2 million in 2007 before slowly declining to just above 1 million.The terminal was still stuck in the 1970s and consisted of a dated security area and departure lounge. It wasn’t long before the airport entered the fear of having to close. But in 2013, after years of neglect by TBI and an array of airlines pulling out, the Welsh Government purchased the airport for 52m! Between 2013 and now, the airport has slowly began to turn around. New European routes to Dusseldorf and Jersey have gained popularity and, slowly, holiday airlines Thomson and Thomas Cook have begun offering transatlantic flights to Orlando and Barbados using their brand new Boeing 787 Dreamliners. Aer Lingus have increased their Dublin frequencies to 3 a day also. But, I really think it comes down to personal experience. Having traveled through the airport for many years to destinations such as Finland, Orlando and Dublin I have seen both the good and bad sides of it. One major bad side being turning up in 2008 for an Orlando flight then having to wait 3 hours to check in due to a computer error. However, last October during a family holiday to Dublin, I got to see the better and improved side of it. The main security area was completely renovated and the whole airport was cleaner, bigger and more friendly. What a success. So, what will happen to our only airport? Will it grow or decline? We’ll have to see. I flew from CIA in January and was honestly baffled as to how the airport managed to stay afloat. Admittedly, I had arrived rather early in the morning, but at first, I genuinely thought it was closed due to the lack of signs of life. Meandering through the generally pleasant, though vacant, space, I couldn’t help but notice how the number of staff greatly outweighed the number of customers and passengers. Indeed, it was only when I hit security that I even came across another non-staff. I wouldn’t in any way wish to be seen as complaining because it sped up the process no end; instead, I just want to point out my confusion with how it is still running. Perhaps I just saw it at a bad time? Unfortunately, the majority of traffic into the airport runs between April and October.This is the time in which the majority of charter flights to the USA take place and the climax of European scheduled flights. Then between November and March Cardiff mainly deals with regular European city break flights and the rare charter flights to the Caribbean. In more positive news however, in the last few days Flybe have announced new year round flights to destinations including Paris, Milan, Faro and Jersey to sat a few, lets hope the airport can sustain and build on these routes.